Twin brothers, enrolled in Southern Illinois University Edwardsville East St. Louis Center’s (ESLC) new program Building Futures, are among 16 adults who are excited to take advantage of educational opportunities, all while they are transitioning out of the Illinois foster care system. Illinois has approximately 325 young adults, ages 17-20, who age out of the foster care system each year. Reportedly, only little more than half of those young people are either employed full time or attending school, according to Karen Roberson, Building Futures program director. Building Futures is a statewide program, designed to help young adults 17-20 aging out of the foster care system obtain credentials and work experience. The ultimate goal is help young adults secure living-wage employment and learn how to financially support themselves when they are no longer in the foster care system. The program is a collaboration among the Illinois Department of Commerce, Department of Children and Family Services, and the Workforce Investment Board. The ESLC’s new grant will help 49 young adults like the twin brothers navigate a pathway to post-secondary and career success. The Center’s goal is to serve its capacity of students by Sept. 30, 2018. “The program is focused on eliminating barriers for young people in positioning themselves to be successful in education, training, employment and life. 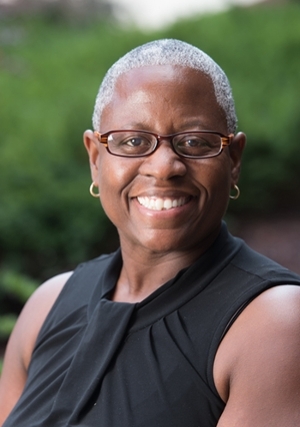 Roberson has a master’s in social work from Washington University and has 25 years of experience working in the child welfare system. She previously worked as a supervisor for Hoyleton Youth and Family Services in Fairview Heights and for Volunteer of America of Illinois as a case manager, supervisor and manager. But according to Roberson, her passion is working directly with young people, and coaching them and connecting them to resources. Building Futures offers young adults the tools and resources to navigate their way into a career. Services include life coaching, career counseling, resume building, leadership training, soft skills training, technical skills training, assistance with basic needs, and most importantly motivation and encouragement from a cohort of students who are also preparing to leave the foster care system. “We are trying to motivate young people to think outside of the box,” Roberson said. “I let them know that just because you started out in foster care, doesn’t mean you can’t be successful. Building Futures is part of the SIUE Metro-East Accelerated Training and Career Hub (MATCH). MATCH is an approach to creating career pathways for adults that focuses on helping low-income, non- traditional students’ access stackable credentials that lead to living wage jobs in high demand fields such as information technology, education, health sciences, education and advanced manufacturing. Karen Roberson is the director for the new Building Futures Program at the SIUE East St. Louis Center.